The main character of this video is a piece of music : Nearer, My God, To thee. This melody, which was one of the last to be played on the the Titanic when it sank in 1912, is played by a brass trio. 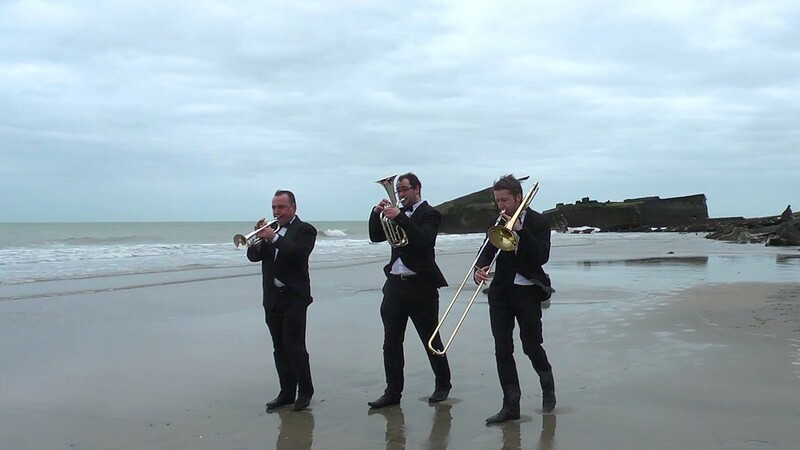 The musicians advance on this deserted beach and then walks away in the distance, a fully dressed man comes from the sea. Who is he? Survivor of a failed voyage, the Titanic, or more recently, shipwrecks in the Mediterranean? In his artistic practice he uses several mediums to explore the relationship between language and authority or standards. His work often focuses on putting the language in jeopardy with projects that highlight the way authority and power tend to impose themselves, the way individuals resist through the use of words and through action.